Shippee Bridge over the Clear River - PRIME AE Group, Inc. Built in 1935, the Bridge, with a daily traffic volume of 1,400 vehicles, was in a deteriorated condition. 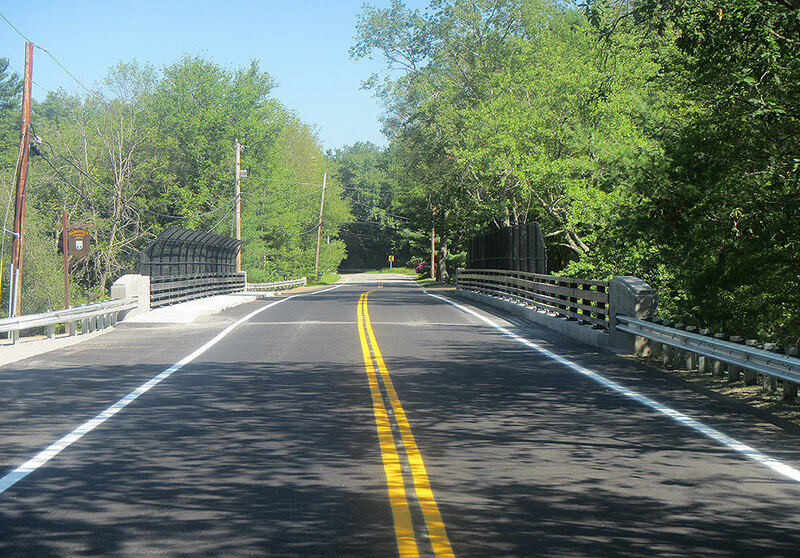 PRIME evaluated several alternative designs that considered various skew angles, span lengths, and structure types to replace the existing bridge. The selected alternative includes a span length of 104-feet, and sufficient width to accommodate two 11-foot travel lanes, two 4-foot shoulders to accommodate bicycles and one 5-foot sidewalk to accommodate pedestrians. It also includes modifications to the existing abutments to reduce their channelizing effect as a means of scour prevention and to minimize the extent of work in and along the watercourse. Accelerated Bridge Construction (ABC) elements were introduced into the project to assure a safe, smooth, and quick bridge replacement. 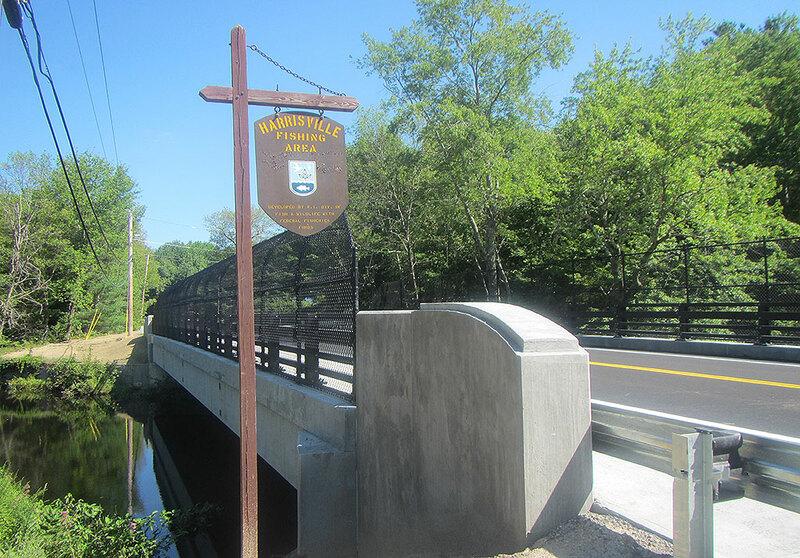 The new bridge was constructed within budget, and opened ahead of schedule. PRIME was honored to receive First Place in the American Council of Engineering Companies of Rhode Island’s 2017 Gold Anchor Award, to honor outstanding professional design excellence.